Welcome to ACS Door Services of Omaha, a family owned and operated business founded in 2002. We have been delivering quality garage door service to the Omaha area customers ever since. We look forward to continuing our tradition of quality workmanship and fair prices. We strive to offer our customers the very best products that fit their budgets. That’s why we choose to exclusively sell Garaga garage doors. 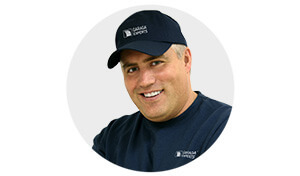 In all of our many years of experience, we have not found a better quality product than Garaga. Garaga brand garage doors are the most energy efficient, the strongest, and the most beautiful on the market. You will never regret purchasing a Garaga garage door. Please visit our image gallery to see our many garage door styles, including many traditional and contemporary models. Since garage doors are so large and heavy, a good quality opener will make your garage door simpler, safer and more convenient to use. At ACS Door Services of Omaha, we sell and install LiftMaster garage door openers, the #1 choice of professionals. LiftMaster garage door operators are by far the most reliable, durable and technologically advanced units on the market. Manufactured by the Chamberlain Group, LiftMaster offers the largest selection of products to meet any budget. Options like battery backup, smartphone control, and security features help keep your home or business safe. Looking for great prices, top quality products, and convenient customer service? Contact us today! You may browse our large selection of garage door openers online. Our experts are happy to recommend the best residential or commercial-grade opener for your garage door. To ensure your door is installed properly, trust the Garaga Experts at ACS Door Services of Omaha. Our team has years of experience, and can help you during every stage of your project, including selection, installation, maintenance, and repairs. Ask us about our preventive maintenance program. Our large fleet of service vehicles means we are always ready to serve you. Our same day service, 7 days a week at no additional charge, sets us apart from the competition. At ACS Door Services of Omaha, we are willing to go above and beyond to ensure you are a satisfied customer. Located in Omaha, NE, we specialize in residential, commercial, industrial and agricultural garage door service. Call us today at 402-333-8988 or complete our free online quotation form for more information. Thank you for your interest in ACS Door Services of Omaha and we look forward to working with you! Nebraska: Elkhorn, Gretna, Papillion, Ralston, LaVista, Bellevue, Springfield, Bennington, Louisville, Plattsmouth, Millard, Ashland, Valley, Waterloo, Yutan, Boys Town, Midtown Omaha, Dundee Omaha, North Omaha, South Omaha, Florence Omaha, Offutt AFB, Ames, Arlington, Blair, Cedar Bluffs, Cedar Creek, Fort Calhoun, Fremont, Herman, Hooper, Kennard, Manley, Mead, Murray, Nebraska City, Nehawka, Nickerson, Union, Washington and Winslow. Iowa: Carson, Carter Lake, Council Bluffs, Crescent, Emerson, Glenwood, Hancock, Harlan, Hastings, Henderson, Honey Creek, Imogene, Logan, Macedonia, Magnolia, Malvern, McClelland, Minden, Mineola, Missouri Valley, Modale, Mondamin, Neola, Oakland, Pacific Junction, Percival, Persia, Randolph, Shelby, Sidney, Silver City, Tabor, Thurman, Treynor and Underwood.